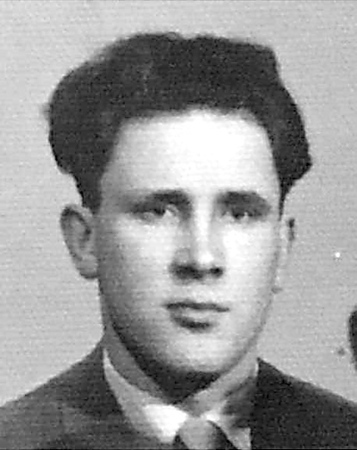 Roman Jurczyszak, 90, of New Britain, died on Thursday, March 28, 2019. He was born on July 12, 1928, to the late Ivan and Paraskeva (Cimanitz) Jurczyszak in Galicia, a Ukrainian Village of the former Austrian Empire, which is now Poland. The family was forcibly relocated according to Akcia Wisla, which was a purposeful redistribution of Ukrainians across Poland. Families lost their ancestral family land and were allowed to take only what could be carried and transported on cattle trains. When Poland was invaded by Germany, Roman faced challenging times and his education was disrupted. Family members were forced to work in labor camps or fight for the Germans. For years, he scoured Ukrainian newspapers for word of his brother hoping that he had survived. However, his only brother never returned from the war. Roman immigrated to the U.S. in 1964, on the Stefan Batory Ocean Liner and was employed as an assembler at New Britain Machine for many years. He was very involved in the Ukrainian community, both with St. Josaphat’s Ukrainian Catholic Church where he sang in the choir and with St. Mary’s Ukrainian Orthodox Church. Culture was very important to him. He was a member of the Ukrainian Club of New Britain and his children attended Ukrainian school in Hartford, took Ukrainian folk dancing lessons, were part of Ukrainian scouting organizations and attended many Labor Day weekends at CYM in Ellenville, N.Y. He is survived by his current wife, Katarzyna Sudyk; his children from his first wife, Anna (Ostrowska), Robert Jurczyszak, Jan Walter Jurczyszak and wife, Christine, Donna Pettinelli and husband, Ernest, Mary LaMontagne and husband, Paul; his grandchildren, Eric Jurczyszak and wife, Megan, Denise Jurczyszak, David, and Garrett LaMontagne, Nicholas Pettinelli, Sydney, and Jillian Jurczyszak; his great-grandson, Emmett Jurczyszak; his special nephews and nieces, Andrew, and Peter Ostrowski, Mary Kebalo and Stephanie Ostrowski, and many relatives in Europe. We are very thankful that education was valued. Our dad simply expected that we would attend college and have a better life than he did; it wasn’t an option. All four children are college graduates. Relatives and friends are invited to call on Sunday, March 31, from 2-5 p.m. at the Duksa Family Funeral Homes at Burritt Hill, 332 Burritt St., New Britain. Visitation will begin at 9 a.m. on Monday, April 1, at St. Mary’s Ukrainian Orthodox Church, 54 Winter St., New Britain, followed by a Funeral Liturgy at 10 a.m. He will be laid to rest in St. Mary’s Ukrainian Orthodox Cemetery, Osgood Ave., New Britain. To share a message of sympathy with his family, visit www.duksa.net . Posted in New Britain Herald, on Friday, 29 March 2019 19:51. Updated: Friday, 29 March 2019 19:53.